Sometimes the recipes aren't a revelation when you are planning an event, but you might just need to feel inspired. We supplemented with cold fried chicken from the supermarket, deviled eggs, chips, veggies, and graham crackers for dipping. Everything was made ahead and popped into a cooler on the way out the door. If you use disposable plastic containers there is no clean up! What is your favorite tailgate food? What's tailgate food? 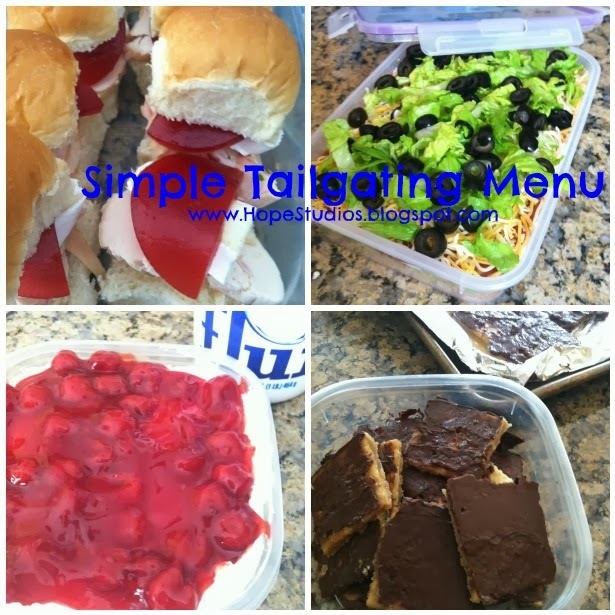 I've heard of tailgating when someone drives too close behind you, but not to do with food?